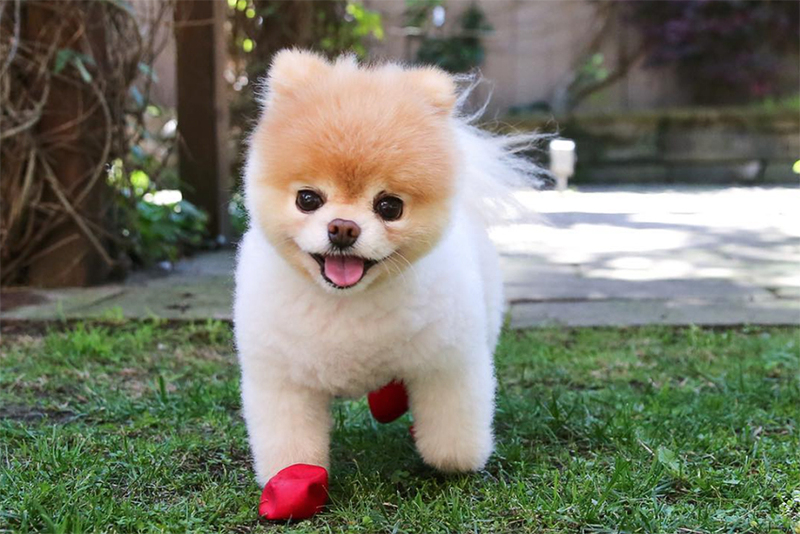 Some dogs spend most of their lives out of doors. These are usually large breeds who love being guard dogs, or big dogs who just prefer all the extra space to run and play in. 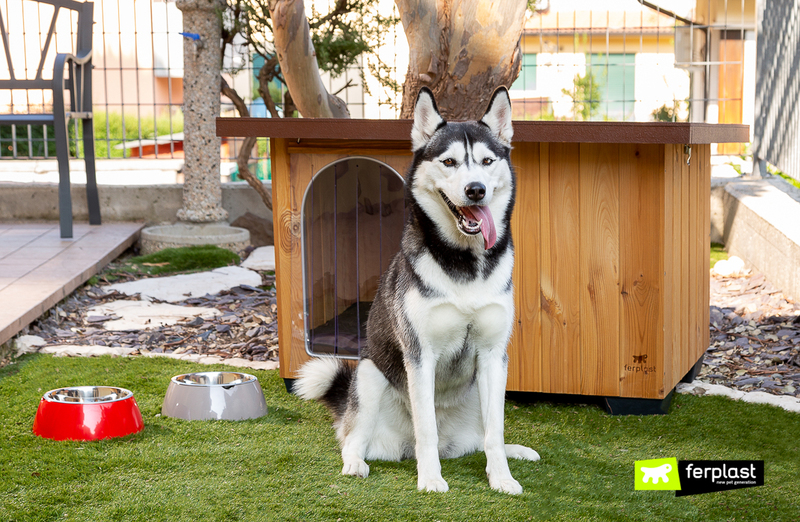 Not everyone thinks dogs should be left outside, but what makes the difference here is that they have a dog house to keep them warm in icy winter weather and, yes, cool on hot summer days. 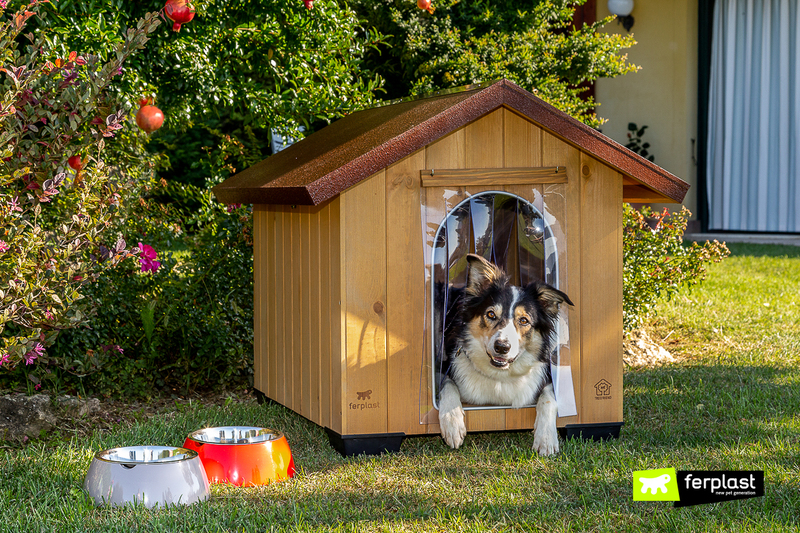 There are outdoor dog houses made with all sorts of types of materials on the market today, houses of all sorts of shapes and sizes. 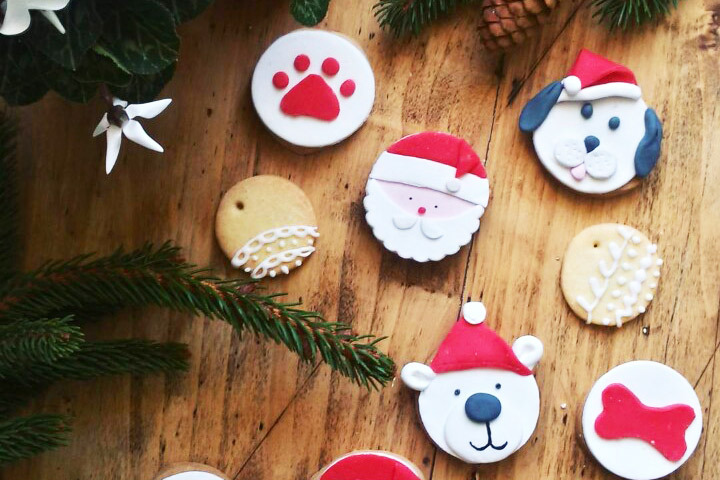 With this large a choice, it’s often hard to decide which one actually suits your dog. 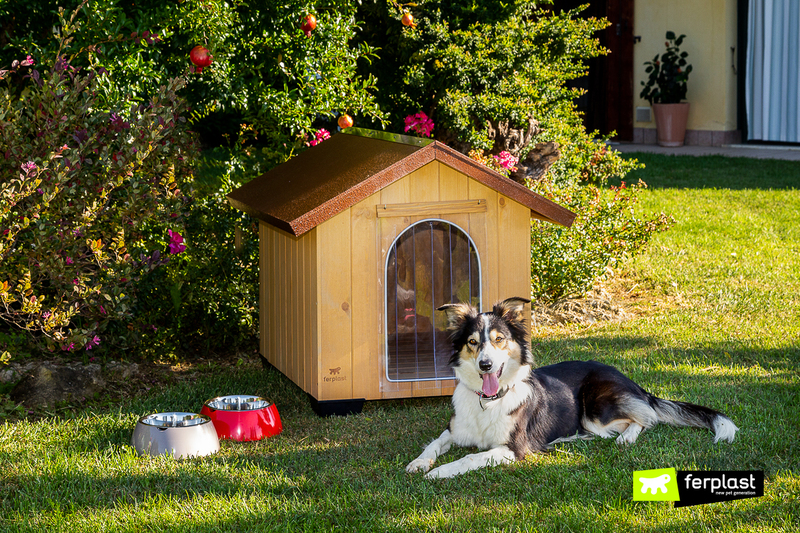 So today we are going to tell you about wooden dog houses designed for outside use. 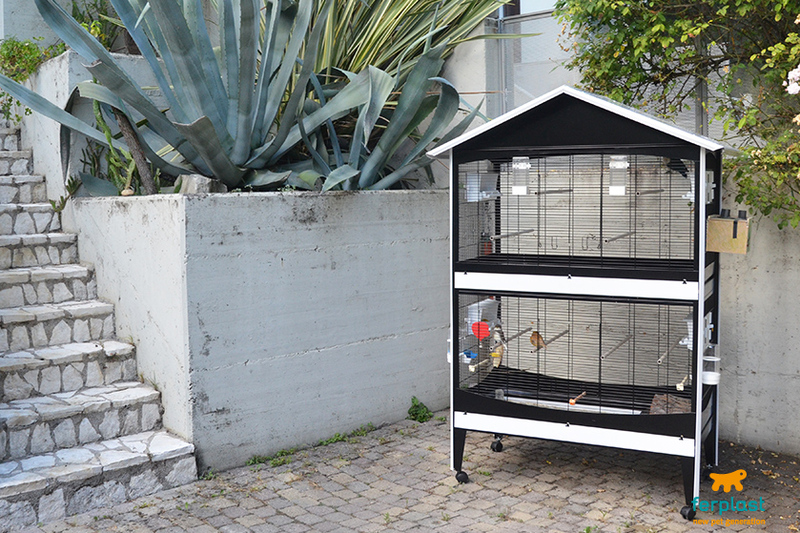 Outdoor wooden dog houses are highly resistant and offer quality isolation. We suggest you choose wood that has been treated with non-toxic products and that can resist both the sun’s rays and rainfall. Just like Ferplast’s wooden dog houses. They are made of quality Nordic Pine planks sourced from responsibly managed forests treated with ecological paint, and expertly put together to make sure they don’t crack and let air or water in. Baita and Domus are two of the best versions on the market today. Both are made of pinewood and have a gently sloped roof to allow rainwater to run off as it should, as well as plastic feet to isolate the little house from the ground below. When you get a dog house, make sure you can open it from above. This makes cleaning and maintenance tasks much easier. Domus even boasts an internal Vent System that makes sure the right amount of air circulates to keep the house dry. 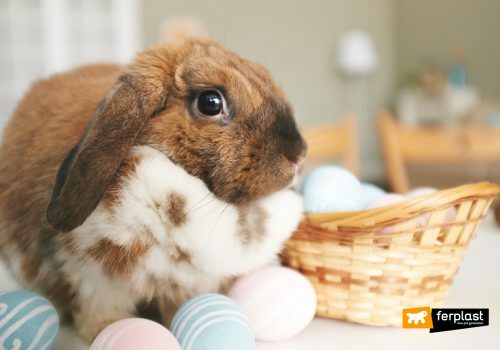 You can make it even more comfortable by adding a soft cushion and some of your dog’s favourite play things! 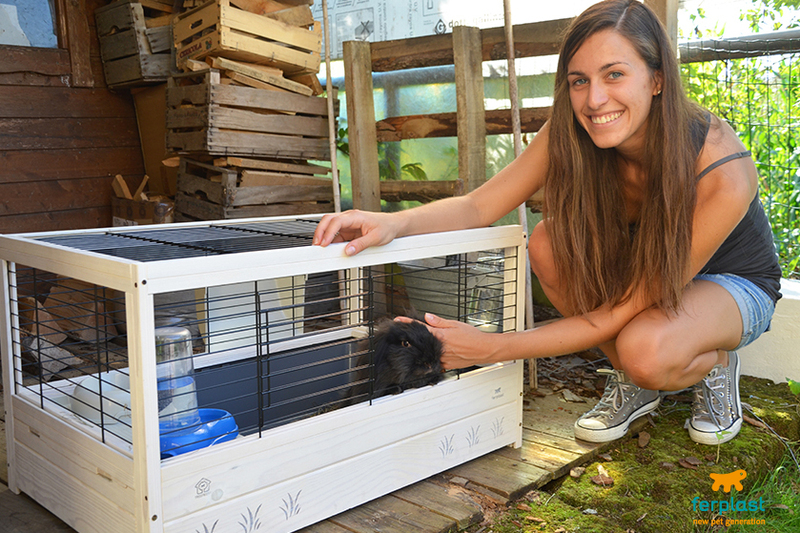 Baita and Domus come in a variety of sizes, ideal for small dogs or large breeds. 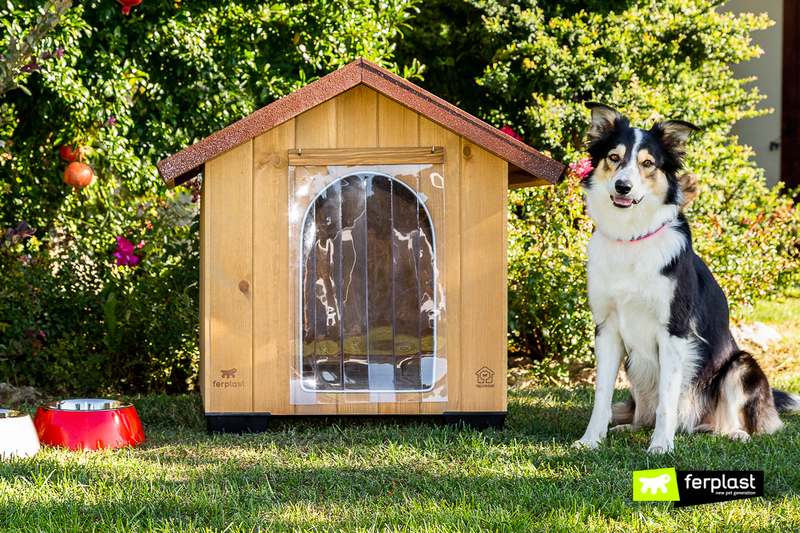 Remember that the the ideal size of a dog house means that the dog has to be able to stand up straight in the entrance, turn around and be able to stretch out for full length inside. 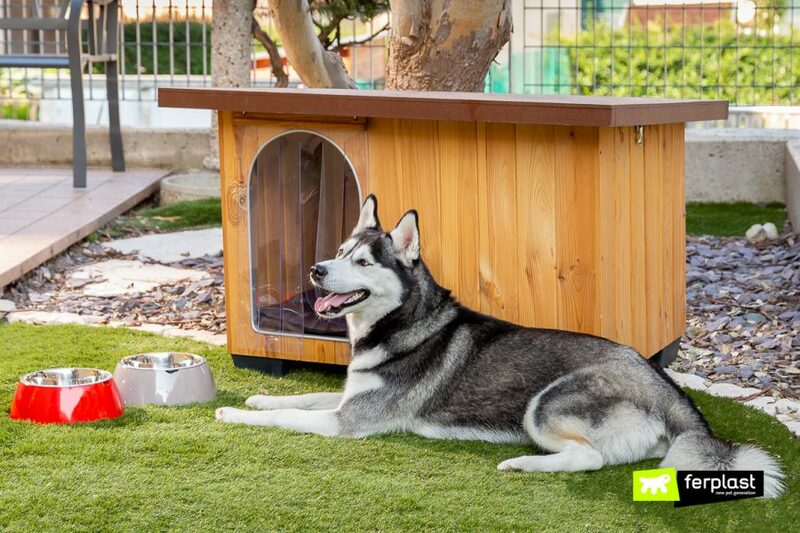 Where to place the dog house so that it can get through both summer and winter is a very important decision. In the morning, when it’s cold, the dog needs to get the first rays of the sun to warm it up and get it ready to face the day full of verve and energy after a cold night. So it needs to be placed where wind, draughts and humidity can’t affect it. Remember, you can always add a PVC door to the house to keep the worst of the cold and wind out! 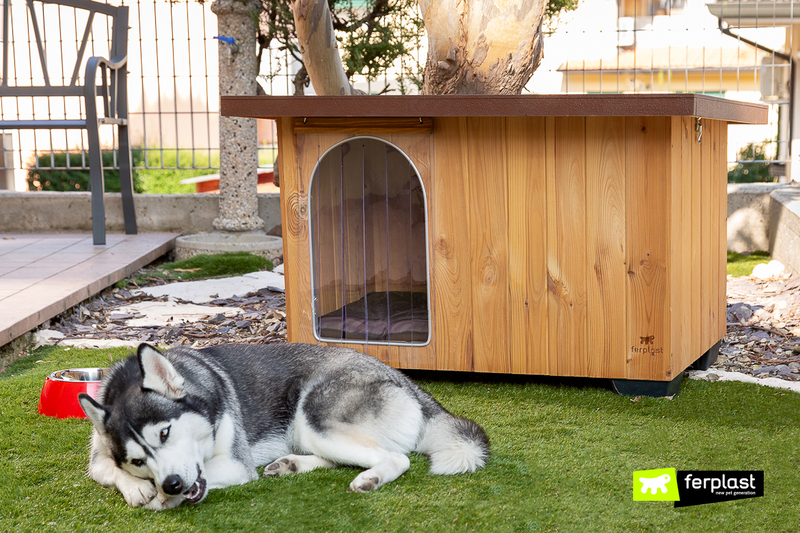 If you have a medium-large dog, like the Husky in our pictures, a wooden dog house like this one would be perfect, a gift it will appreciate forever!